It was nearing starting time, and the conference room where the Main Street Business Grant Forum was being held was still completely empty, and it was becoming doubtful if many if any people would attend at all. As the Mains Street Coordinator, I’d spent the last hour setting out chairs, organizing a table of drinks and snacks, and rehearsing the program I was going to present. On top of this, I’d spent the last two weeks canvassing the city with fliers, hand delivering them to business owners when possible, in an effort to make my first real event as a participant in AmeriCorps’ Resource Assistance for Rural Environments (RARE) program a success. And now, just minutes before the forum’s six o’clock kickoff, it appeared that effort had been in vain. However, just as six rolled around, a growing trickle of business owners and community members began to congregate in the conference room. Before long a crowd of just u nder 30 persons had assembled, a high number not even hoped for optimistically. 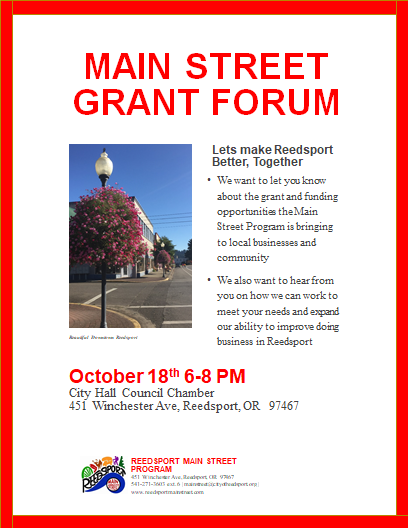 Buoyed by this turnout, I launched into my prepared remarks, explaining to the gathered people how our Main Street Program worked, how it could help them find and complete grants, and how, ultimately, it would make Reedsport a better place to live and do business. The pinnacle of the evening was when I detailed surprise changes to the Reedsport Main Street’s flagship program, the Façade Improvement Grant. This grant had been around for a few years, and we’d done many very successful renovations under its guidelines, and because of this it was very popular amongst local business owners. However, it just wasn’t giving us the amount of impact we knew was needed in order to revitalize Main Street. This forum, and the feedback we received from business owners, would form the backbone of an entirely new type of program, the Business Improvement Grant. The Business Improvement Grant was a reflection of the conditions and needs of Main Street in Reedsport. The catalyst revealing this need had been generated during the latest Façade Improvement Grant’s cycle. We had completed our most successful project to date, investing over $8,000 into a local business right on our Main Street, and the façade looked great. The problem? The owners could still not utilize the building for commercial activity because of the dilapidated state of the roof, an item considered too structurally and financially prohibitive for the Façade Grant. 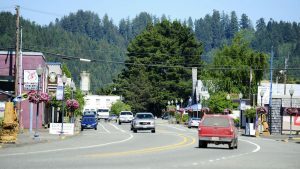 Knowing this fact, and that many other downtown buildings appeared to be in a similar predicament, Main Street decided to host the Business Grant Forum to not only educate local business on the resources available but to gather input from them in order to improve the efficacy of our operations. And, indeed, many of the businesses found the Façade Grant to be unable to fully achieve their business improvements. We heard about the need for repaired roofs, for rewired electrical systems, for better parking and lighting, and other idiosyncratic but equally pressing concerns. The Business Improvement Grant worked by taking the Façade Grant framework and expanding it to cover these diverse projects. Originally concerned that it would be too short of an event, I was delightfully surprised to find the enthusiasm of the group to ask questions and engage in conversation eventually forced me to end the occasion for fear that it would run too long. It was heartening to see the passion these business owners had for their trade and their community. Even more fulfilling to me was the way that I was able to help both their trade and community through the information and programs that I was talking about. Even months after the event I am still receiving phone calls and visits from business and property owners asking me questions about opportunities and grants that Main Street could help them get. While the success of this forum may appear posturing and limited in overall impact, it illustrated to me the core of what AmeriCorps and RARE service is all about. This was not just about storefronts or filled vacancies. This was about people and the buildings and businesses that constituted their lives. It became apparent that one couldn’t separate the members of a community from its businesses because these things were one and the same. The hours of these stores were in reality not 9-5, five days a week, but 24/7, actual full time, and jobs for the owners. For me to be able to bring something tangible to these people, to offer them real hope for much need business improvements, was the apex of community service to me. When I was little I had decided that I was going to be a veterinarian. I was so set on the idea that even by the time I had finished high school I still hadn’t done any real thinking about what career path would be best for me. It was so systematic. One day I graduated high school and two months later I packed up all my belongings and drove to a town I had never been too simply because I had heard through the grapevine that it was a good college for pre veterinary classes. Little did I know that I would loathe the town itself. Little did I know that a veterinarian’s lifestyle was not one I would find appealing. Little did I know that I had made the mistake of laying out a path for myself without putting any real logical or emotional thought into my career goals aside from what my 5-year-old self had decided for me. The never-ending journey to a destination that kept on changing. First it was biology, then anthropology, psychology, social services, and then finally environmental science. As you probably can imagine, my poor mother was getting whiplash from the number of times I had called her to announce my new found passion. Nothing had felt better than finally walking across that stage and receiving my bachelor’s degree. And nothing felt worse than getting home and realizing that I had absolutely no idea what I was going to do with it. I decided I was going to spend a couple of years doing things that were going to help me decide what my real passions were outside a classroom. I had spent so many years absorbing knowledge I wanted an opportunity to give it back for once. I wasn’t sure how, I just knew I needed to stop planning and start doing. Soon after I pursued a year of teaching through AmeriCorps. While I thoroughly enjoyed my role in the school, I knew it wasn’t right for me. About this time a year ago I was trying to decide what I wanted to do the following year. As most people know, life is in constant motion, there are hardly moments when you’re not trying to do something while also calculating your next step. Jump ahead to the present and here I am, a RARE AmeriCorps member. Per usual, I didn’t know what to expect. I had about a million ideas as to how it might turn out, and not one of those turned out to be accurate. I could tell you about my position in every formal detail but it wouldn’t be an accurate description. Instead I want to tell you about the single occurrence that illustrates nearly every aspect outside of what you can find posted on the job description part of my organizations website. A couple of months into my position I was told about a new non-profit organization, Animal Aid Inc.. Having had worked for a non-profit before I knew that there is never really enough help to go around and so I decided to reach out to the organizations director. Shortly after I visited the organization to see what it was all about. Natasha, the director, had told me about how the organization was formed to help provide shelter for animals had been seized by law enforcement from their owners. Each animal had a different story with a different background as to how they got there. I was moved by the work they were doing, and even more amazed when I found out they were fueled completely by volunteers and Natasha herself. The challenge they were facing was that there simply were not enough volunteers and they didn’t have the funds to hire anyone. Natasha had spent endless overtime hours at the organization reassuring that each animal received the care it needed. Everyone knows that working over 40 hours a week is a challenge, but also having a child in grade school makes it that much more difficult. I spent hours at Animal Aid Inc. that afternoon. I couldn’t seem to step away. I felt deeply for Animal Aid Inc. and the work they were doing just to reassure that these animals weren’t left to fend for themselves. I knew I wanted to do what I could to assure that the organization to continue the work it was doing and there was nothing more satisfying than realizing my organization had the resources to help give Natasha the much needed break she deserved and Animal Aid Inc. the assistance it earned. I discussed the organization with associates and together we figured out a way we could help contribute. 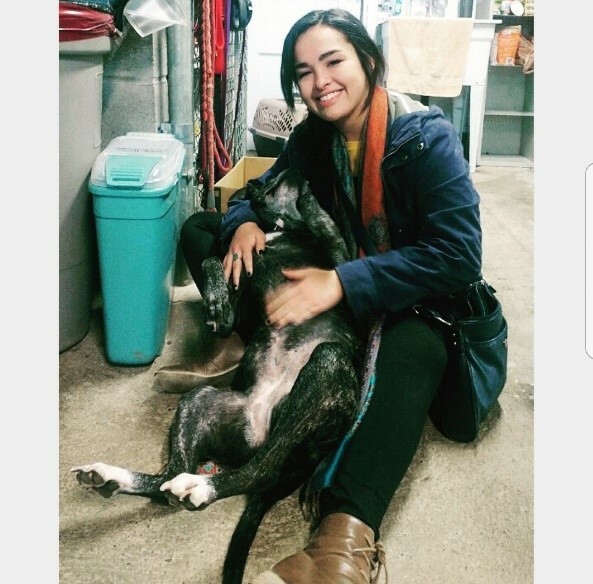 Within the month Northwest Oregon Works in partnership with Community Service Consortium was able to connect with a youth, Alana, who happen to be looking for a position working with animals. Alana was an outstanding youth who had just graduated high school and had the desire to work but did not have the resources to make it happen. It was in that instance that I realized how many privileges I had taken for granted in my own life, such as a vehicle to get me to job interviews or a parent who was able to provide me with the tools such as work ready clothing. It’s easy to forget about the challenges other people have to accomplish just to get to the same finish line. Luckily CSC and NOW had the tools that not only assisted her in getting the right clothing but also supplied her with a bus pass that would enable her to get to work every day. Soon after Alana interviewed with Natasha and it turned out to be a match. After we confirmed it would work we were able to enroll Alana in a work experience program that then allowed us to pay her wages so that Natasha wouldn’t have to. At that point I had never went home feeling as satisfied with an work related outcome as I had that day. Alana was more than thrilled to start her job and I had the joy of getting to help her get there. As if that weren’t enough Natasha was so thankful for the pair of extra hands at Animal Aid Inc. With Alana’s help she now had more time to spend at home with her child and I got to be a part of that. If I were to tell you that I have now discovered what I want to do for the rest of my life because of this experience then I would be lying to you. But what I can tell you is that I am about 5 times closer to understanding what kind of work makes me happy, and that is helping people. This realization in itself may not be a big deal for some people but it felt like a big deal to me. For those of us in this world that are indecisive about what we want to dedicate our entire being to understand that finding a little piece of something that clicks, lets us breathe, if only for a second; is amazing. Currently serving as a Youth Development Success Coach for the Northwest Oregon Works.